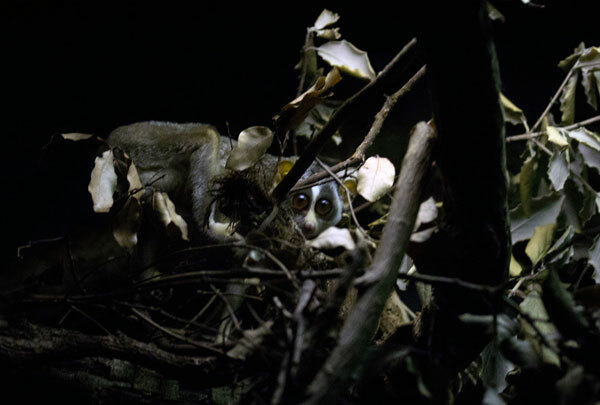 I recently had the honor of spending a quiet weekday morning completely mesmerized by these incredible creatures at ZSL London Zoo. 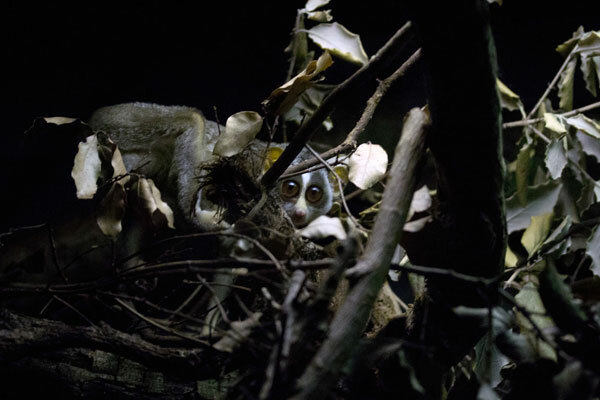 The beautiful grey slender loris (Loris lydekkerianus) is an incredible nocturnal primate and it’s hard to describe the experience of watching them. 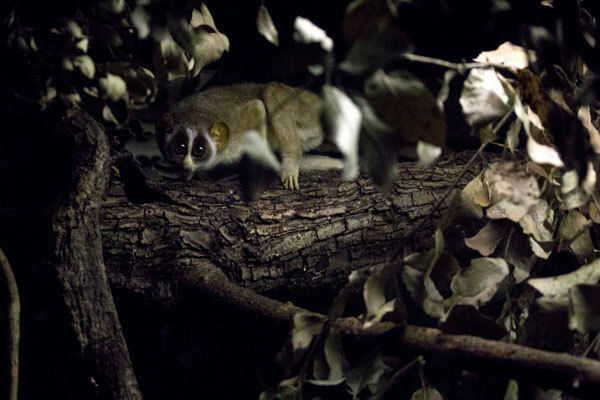 It’s simultaneously very relaxing and thrilling to see them moving with a unique combination of elegance and awkwardness with their long limbs stretching from branch to branch. 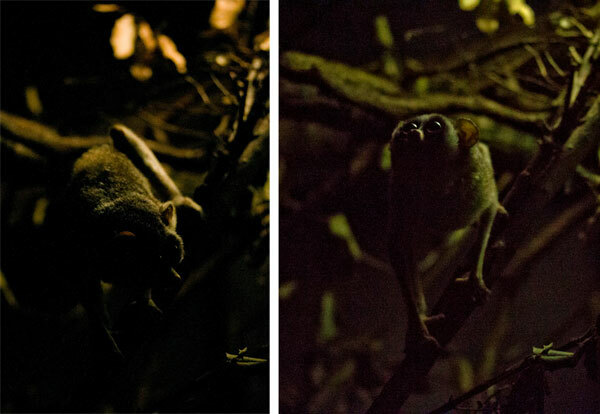 At the London Zoo, these creatures live in the nocturnal house below the Rainforest exhibit and the zoo recently welcomed twins! See more pics on the next page! 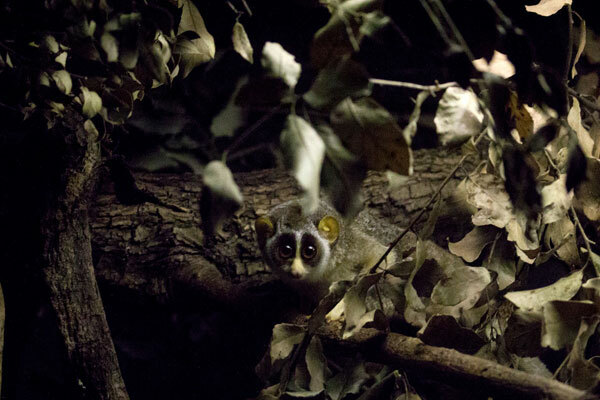 The slender lorises are native to southern and eastern India and Sri Lanka and use those enormous eyes and dextrous hands to spot and grab their invertebrate prey. 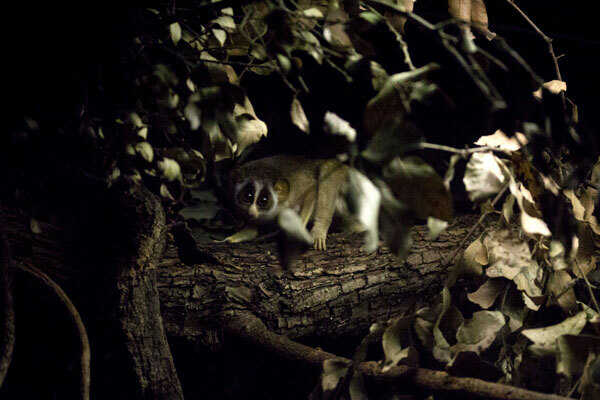 Adapted to life in the trees, they even have specialized blood vessels in their wrists and ankles that allow them to grip tightly to branches for days without suffering from cramps. 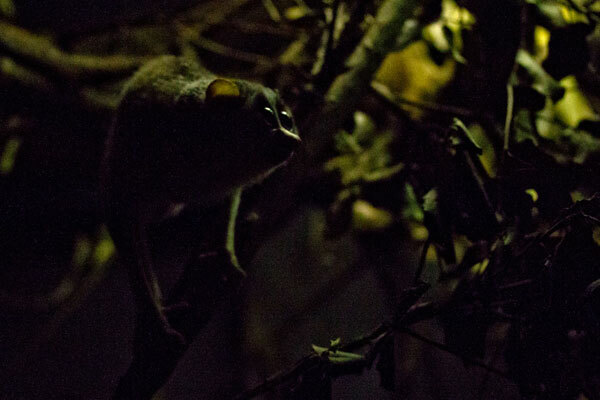 Similarly to lemurs, they also have a specialized modified claw for grooming (on the second digit of each foot) and comb-like lower incisors and canines. 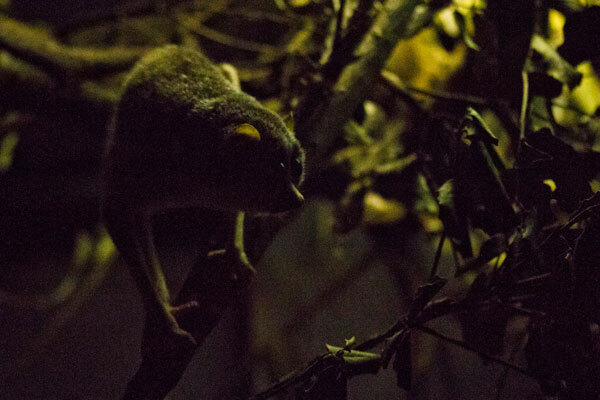 Their relatives, the slow lorises even have venom glands! 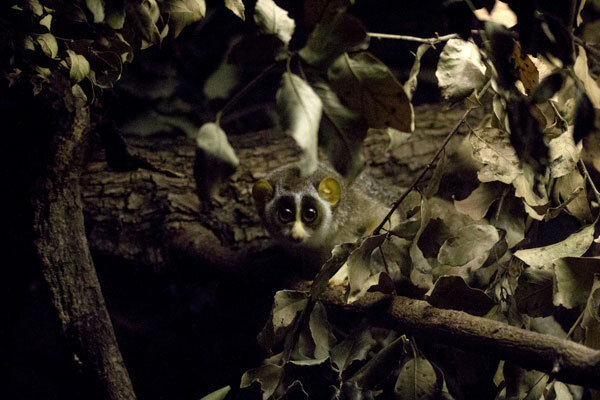 Find out more about these incredible creatures on ARKive and the IUCN.